ThemeTim consists of several passionate freelance developers who came together and formed a WordPress development agency. As of right now, ThemeTim has 13 themes, and more than 2,500 customers. And that’s without taking into the account the number of people who use ThemeTim’s themes for free. 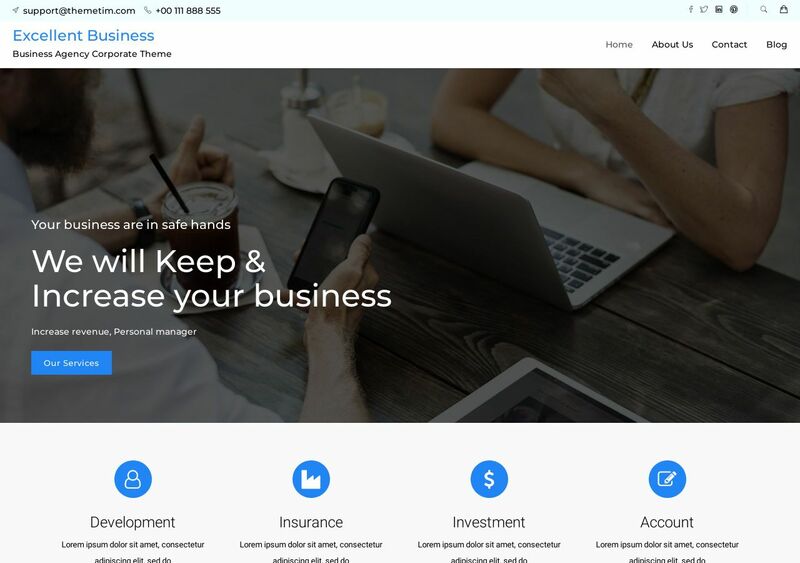 Excellent Business is a great example that premium-quality themes don’t have to cost you a single penny. All you need is a dedicated team of people, passion for WordPress, and the willingness to publish your work for free. We cannot imagine a better theme than this to use for your brand new startup or product website. Excellent Business has all the modern qualities and design features to make your site feel professional from day one. Try it out for yourself and see if you feel the same way.